KILLINGTON & PICO MOUNTAIN RESORT. 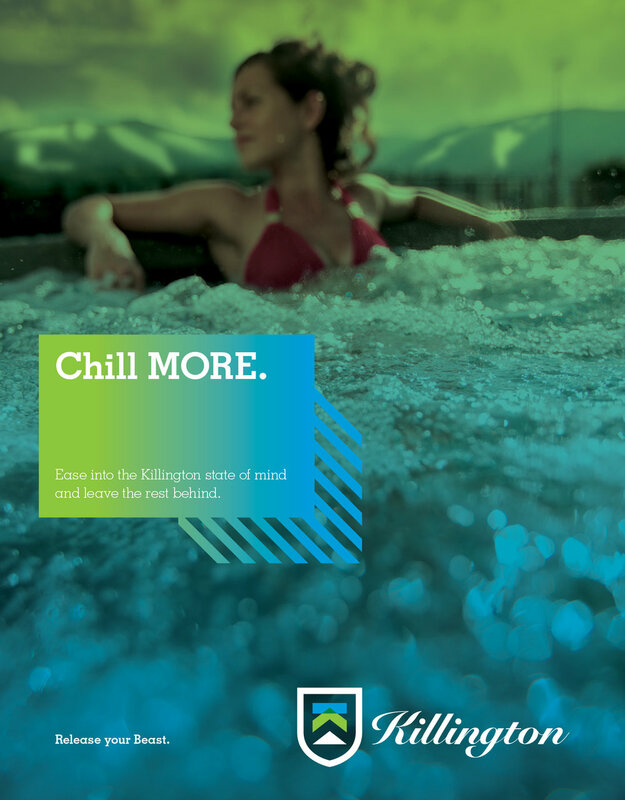 Killington reserves the majority of its print advertising placements for core, endemic publications mainly in the outdoor and snow sports sectors. Our work has focused mainly on delivering brand messaging in an aesthetic if not occasionally irreverent way, in a creatively designed and photographed package that stands alone within publications. It is too easy, for example, for standard action imagery to get lost within the pages, and so we tend to focus more on the people and their stories. The latest campaign makes heroes of the community and staff that make Killington click, from a college-aged woman who’s been snowboarding at Killington since she could walk to the hard-nosed head of mountain operations to the unrivaled King of Spring.